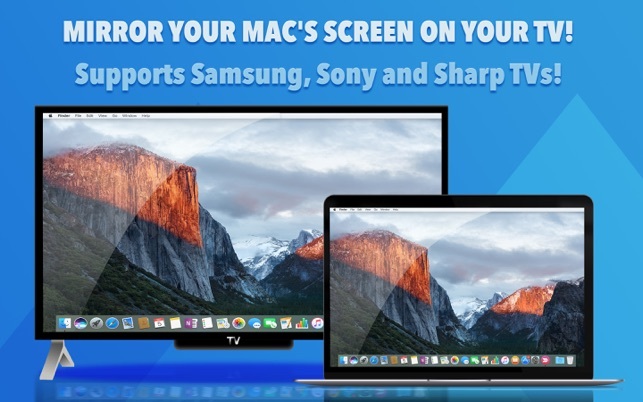 TV Mirror App allows you to wirelessly mirror your Mac's Screen to Samsung/Sony/Sharp TVs! Just select your TV from the list and click the "Start Mirroring" button. 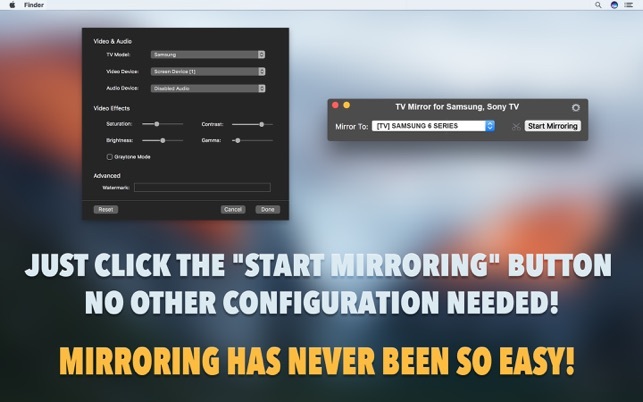 Your Mac's screen will then start mirroring to your TV. No other configuration is needed – meaning no hassle! 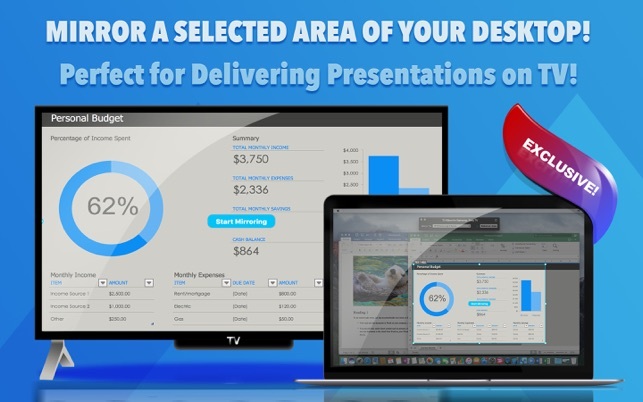 It's great for watching movies, viewing photos, making presentations, and much more! 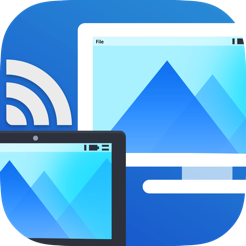 This app works for modern Samsung/Sony/Sharp Smart TVs. In the future, other TV brands will be added. - Supports three popular TV brands: Samsung, Sony and Sharp. - Mirror your Primary or Secondary screen in high quality. - Stream your Mac's audio to the TV, or listen to the audio on your Mac. - **EXCLUSIVE** Mirror your desktop in full screen, or a selected area/window on your desktop. - **EXCLUSIVE** Customize the color of your video using controls for Saturation, Contrast, Brightness, Gamma, Graytone. No need for your TV's remote! - **EXCLUSIVE** Add a watermark to your video; perfect for making presentations on your TV. - Please make sure both your Mac and your TV are connected to the same computer network (router). Then turn on your TV and launch the app. The app will search for your TV; after it finds the TV, select it from the list and click the "Start Mirroring" button. After a few seconds, you'll see your Mac's screen mirrored on the TV. Mirroring has never been so easy! - To mirror a selected area/window of your desktop, please click the "Cutter" icon before starting. - TV Brand: Select your TV brand. 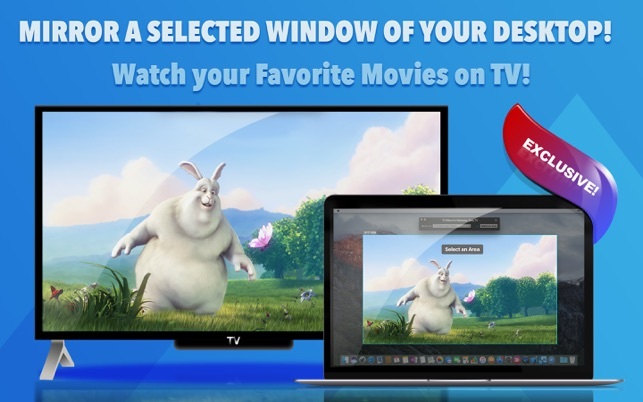 - Video Device: Select which screen you want to mirror on TV. 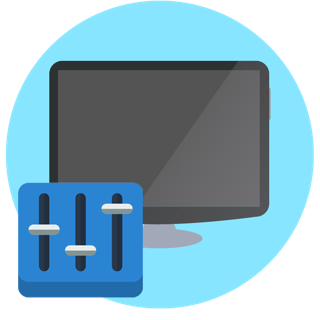 - Audio Device: Select which audio device you want to play on your TV. Please install "Soundflower" and select "Soundflower (2ch)" from the list if you want to "mirror" your Mac's audio on your TV. 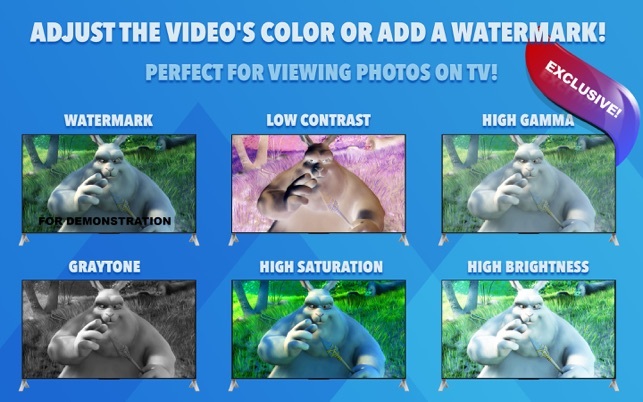 - Video Effects: Adjust the Saturation, Contrast, Brightness and Gamma of your output video on TV. - Graytone Mode: Activates the GrayTone mode on TV. - Watermark: Adds a watermark to the output video on the TV. - You will experience a latency (delay) on your TV screen during mirroring; it's usually no longer than 8 seconds. However, the video and audio will be nicely synchronized, so watching a movie is no problem. - If two or more DLNA devices are currently active on the network, sometimes this may lead to the app crashing. If this happens, please try to restart the app or turn off the other active DLNA devices, except for the TV you want to connect. - If the app fails to find your TV, please try to restart your router, Mac and TV. - If the TV connection is unsuccessful, try to switch between the LAN cable and Wi-Fi connection. Test which connection method works best with your TV. - For other problems, please contact us directly. IMPORTANT: All trademarks, such as, SAMSUNG, SONY, SHARP are intellectual properties of respective owners. 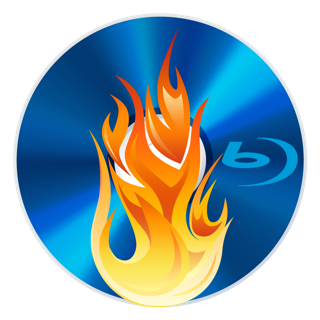 This Mac application is developed, owned and maintained by a third-party application that has no affiliation with or endorsement from any of the trademark owners. "Samsung®" is a registered trademark of Samsung Electronics Co., Ltd. "Sony®" is a registered trademark of Sony Corporation. "Sharp®" is a registered trademark of Sharp Corporation. If you like this app, please give us a positive rating! Da es nicht funktioniert wie versprochen hätte ich gerne mein Geld zurück! Funktioniert zwar allerdings 30 sekunden verzögert gefühlt, und es wird auch keine audio wiedergabe unterstützt. Please contact us if you need help, thank you. Latenz ohne Ende!!! Absolut unbrauchbare App!!! Ich will mein Geld zurück!! !